While we still haven't even learned the proper release date of Kanye West's upcoming G.O.O.D. Music crew album Cruel Summer, there's another album hitting the top of our most wanted lists: Watch the Throne 2. The expensive-sounding, game-changing Kanye West/Jay-Z album that dominated our headphones last year is confirmed to be receiving a proper sequel. Prefix points to an interview that Kanye's producer Mike Dean did with Quiet Lunch, where he confirmed that a Watch the Throne sequel is pencilled in for the future. "I'm working on the G.O.O.D. Music album of course," Dean said. 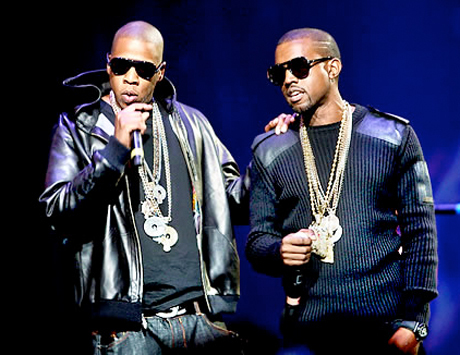 "[I'm working on] Watch The Throne 2, which is not started yet, but that's coming." As previously reported, Jay-Z hinted late last year that the pair may team up once again, saying, "We -- I say 'we' because I'm in Throne mode -- we're in a great place creatively. You might see a Jay, then Kanye and a Throne album next year. You know, we're really in a great place creatively. We really found our zone." For now, that's all we really know but the fact that they're even thinking about this album has us excited for the future. Watch the video interview with Dean below.